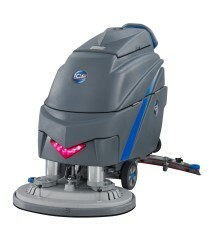 Great Floor Scrubbing Machines. Flexible Pricing. Incredible Results. Keeping large hard floor surfaces clean day in, day out can be an onerous task. Our experienced team are available to help select the best floor scrubber for the job, maximising the results, reducing cleaning time and labour costs. Our machines are built with endurance in mind, making sure you can get the most value out of the unit in the shortest time possible. All of our ICE Scrubber Dryers are available for hire or rental across the UK from our base in Essex, situated on the borders of London and Suffolk. This fully automatic scrubber, with dual-brush design and 800mm cleaning width, greatly enhances the cleaning efficiency. 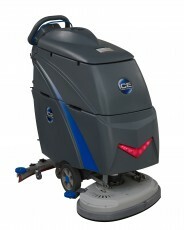 The I.C.E 20BT is a tough, high quality, battery powered scrubber dryer with traction drive; the 500mm (20”) wide. 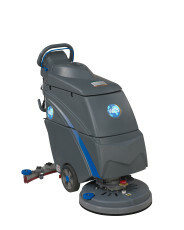 The I.C.E 20B is a tough, high quality, battery powered scrubber dryer, the 500mm (20”) wide. 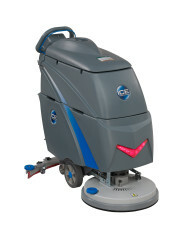 The I.C.E Barracuda 18B battery powered scrubber dryer is the smaller of the I.C.E scrubber dryer range. 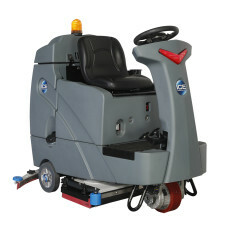 The I.C.E 18E mains operated scrubber dryer is the smaller of the I.C.E scrubber dryer range, the 450mm (18”) wide. Our Scrubber Dryers machines are perfect for both small to large floor spaces, allowing you to tackle any cleaning task. Scrubber Dryers Hire UK have over 25 years of experience and understanding of cleaning machines and equipment we have seen a steady request for floor cleaning machines hire daily, weekly, monthly or yearly periods.